The zoo says the almost four-month-old baby is the second born to mother Ngozi and the 10th offspring sired by Charles. 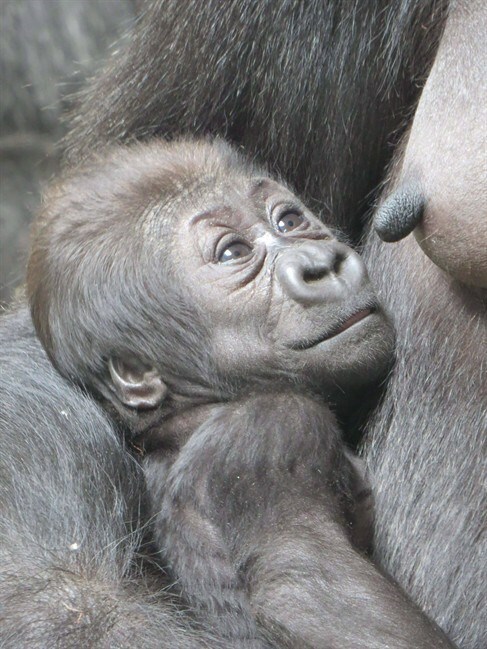 Zoo staff say Ngozi has taken to motherhood very well and can be seen tenderly holding her daughter and patiently managing her son, Nassir, who appears to be curious about his new sibling. This entry was posted in Entertainment and tagged VIDEO: Gorilla Names His Baby Gorilla Nneka While The Baby Gorilla's Mum Is Ngozi.